A decisive victory against an opponent with such low activity levels we wondered if they ever were going to make a push. In the end they should not have even bothered. It was easy loot pickups for most of the clan. 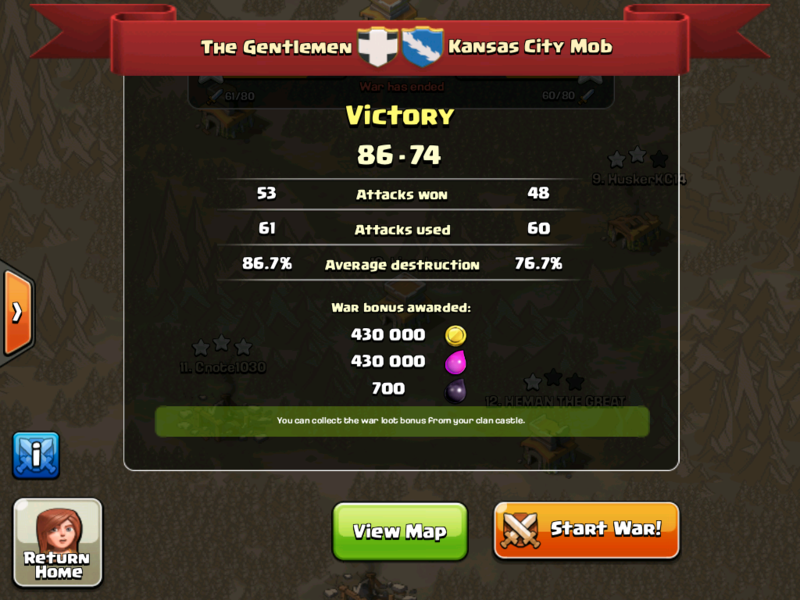 Notable mention goes to vjoflo who racked up Most Heroic Attack AND Defense. Woot! An early lead quickly disappeared as Pinoy Utopia made their push and fought a close battle til the very end. Alicia (mikey) had to pull out all the stops again and score 3 stars at the very end to tie the score. 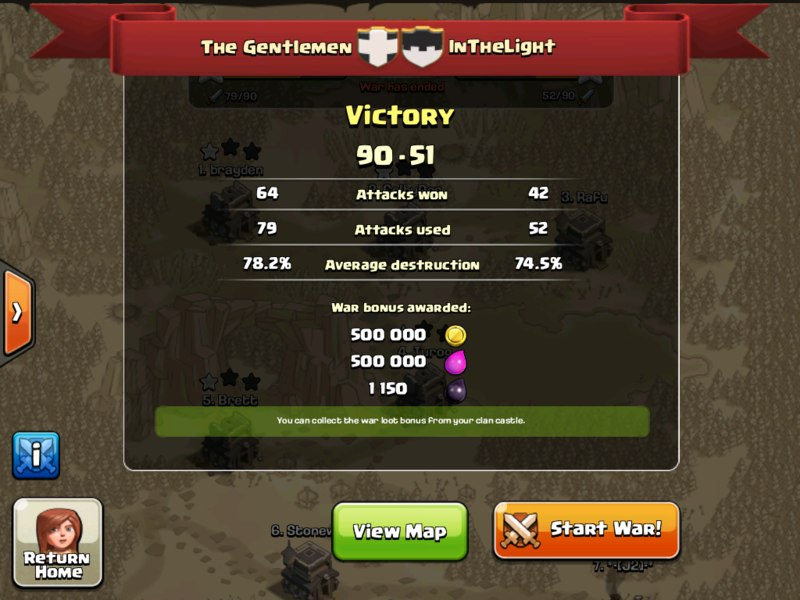 Loot bonuses were a disappointing fraction of the total usually awarded for a win but better than a loss. Reading the stats, we came out ahead in every category except the win/attack ratio. 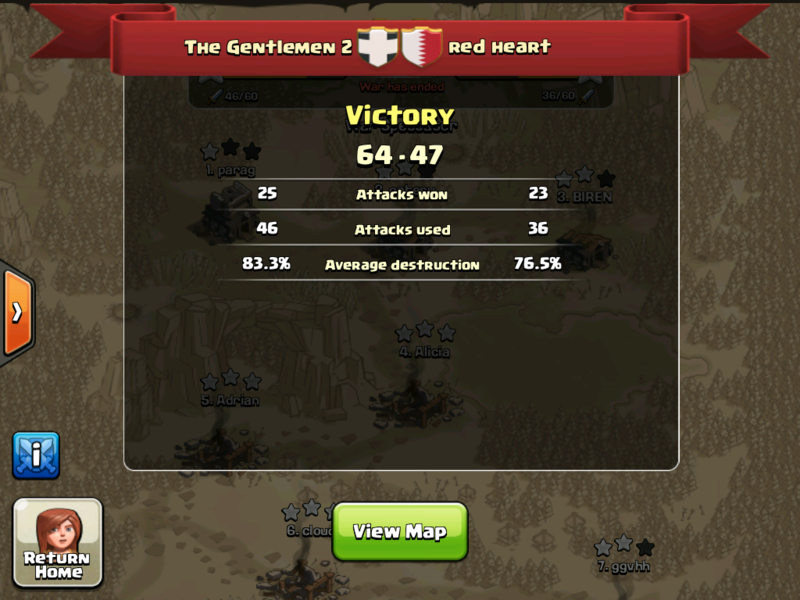 Well fought Gentlemen! Another exciting win for TG1 as the gang rallys at the end to put the Mob in the ground... like six feet deep. Great job by everyone!